Gray skies and cold rain all day long but this hibiscus reminds me of Xmas just over the hill. 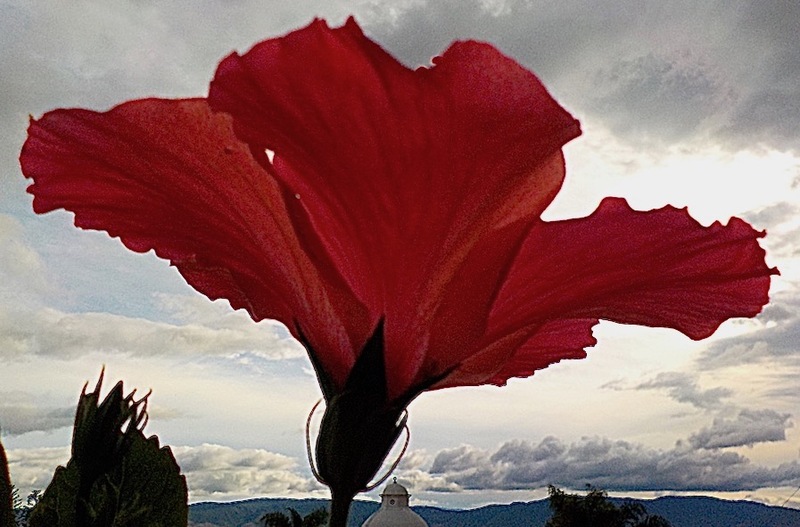 This entry was posted in Flowers, Mexican Flowers, Uncategorized and tagged Cee's Flower of the day challenge, FOTD, Hibiscus on November 28, 2018 by lifelessons. I think you are right. These are unseasonal rains as the rainy season should have ended a month or more ago. Wow! Like an elegant dancing dress.